Once again I have decided to start another sale. This one will help those whom have recently become engaged, to plan their wedding in 2015. At least I hope this helps a little! The sale will being on 12/26/2014 at 12:00 a.m. 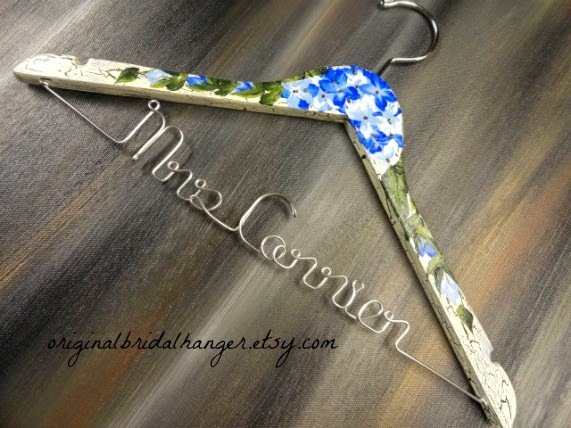 I am offering 20% off on most of my bride hangers. This sale will not include my hanger sets. 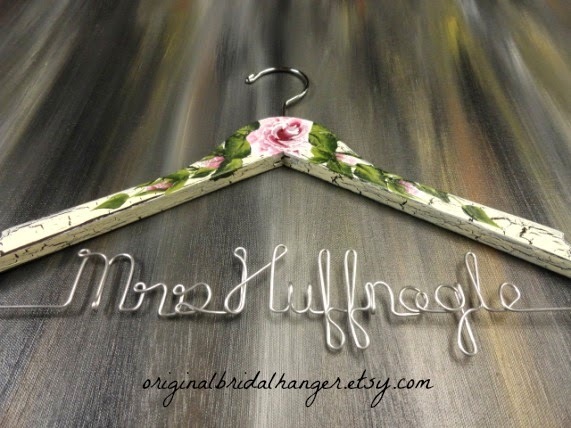 Many of you already know that I offer a variety of styles and designs on my wedding dress hangers. 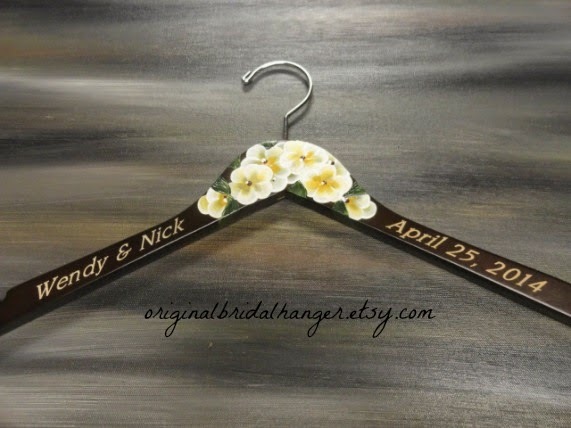 These are a sample of the crackle painted hangers with flowers. 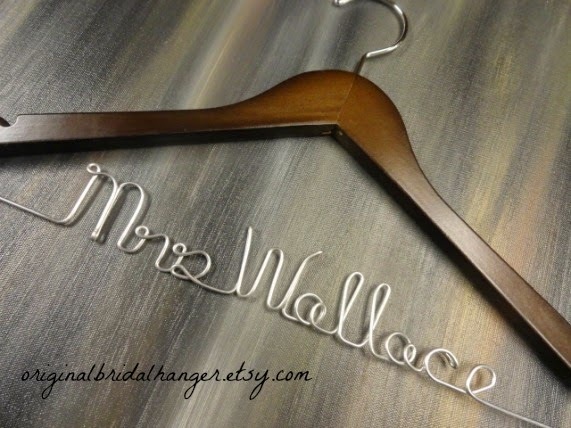 This is a sample of an option you would have with a no wire hanger. You can have them engraved on the arms, or just right under the hook. They can be painted or unpainted, or even a different flower can be created. This is just a sample of some of the options you have. 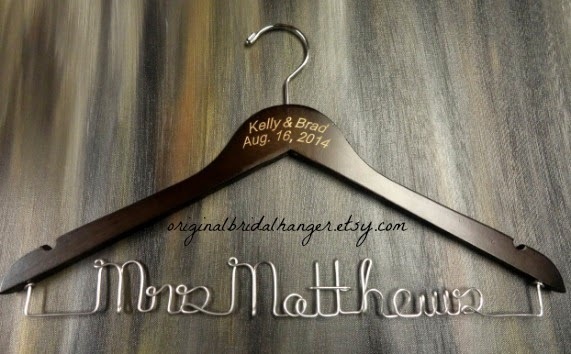 This bridal hanger has the personalized wire name attached, as well as the bride and groom's name and wedding date engraved at the top. All you need to do is take a look at my shop. If you want something custom created special for you, just let me know. I will see what I can do. This sale will run through 1/23/2015, at 12:00 a.m.